Hey, guys! So most teenage girls suffer from spots at some point just like me. They just come and stay on your face and do not go, no matter what you do! Clearing them is harder than getting waterproof mascara off! But it's always a good idea to have tips and tricks to them go! 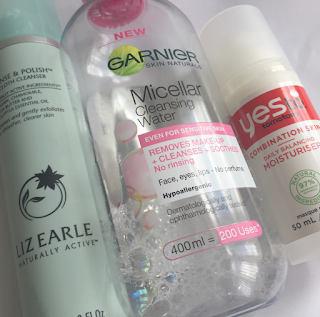 I am quite self-conscious about my spots and it is hard to try clear them yet cover at the same time; but over the past year and a half, I have gathered 5 quite easy, obviously yet really useful tips to try clear them and I though I would share them with you guys. 1. I drink more water! I know everyone says this but it really does help! keeping yourself hydrated is such a key thing to do, It's so good for your body and it helps your skin so much! I try to drink 2 litres of water a day and it really does make a difference. My skin feels so much softer and the spots calm down a lot when I keep up with it. 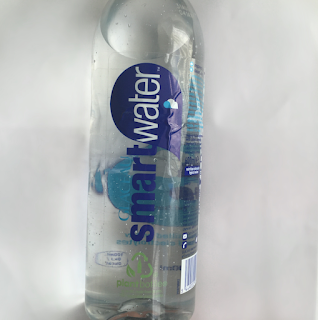 I either have a bottle of smart water or a Starbucks tumbler at the side of my bed or take water to school. 2. Avoid wearing makeup! I know this is hard for people who are self-conscious or have low self-esteem but it will save your skin a lot! Now I barely ever wear makeup for school and it's been helping my skin clear up a lot. My pores able to breathe and not got clogged up with makeup so my spots go away so much quicker! Your skin needs some time to breathe and you should always try maybe going 1 day a week without makeup, just take baby steps. 3. Putting some sort of cream onto your spots! 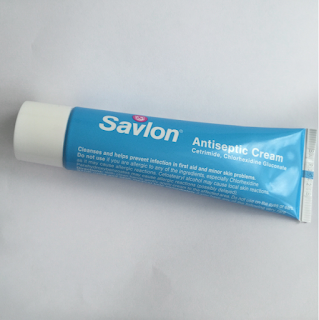 A lot of people put sudacream on their spots but it dried out my skin a lot so I use savlon! It's an antiseptic cream and it keeps my skin hydrated and helps clear my spots. Like instead of picking a spot to apply savlon on before you sleep and let it skin into your skin it honestly helps me a lot! I put them on every night and I do notice the difference. I think it works wonders! 4. Use a Facemask at least once a week! Honestly, facemasks help clear my skin an I use so many different once because I feel as if my skin gets used to one it may stop working. I love the lush cupcake Facemask (worth the money!!!! ) 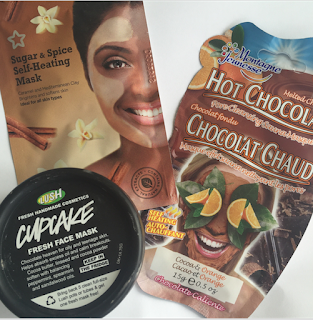 because that clears my skin a lot, the Montagne jeunesse packet masks work wonders and Superdrug own facemasks too! Their both so cheap and really do work, for 99p I get 2-3 uses per facemask. 5. Try not to touch your face with your hands! Throughout the day you will obviously touch lots of things and gather bacteria in your hands so if you touch your face you will only add that onto your face and into your pores which will definitely do your skin no good! I always get bored In class and touch my face but it's so bad for your skin so now I try to avoid it at all costs! 6. Last but not least, have a skincare routine that fits you! If you have oily skin- get products for oily skin! If you have sensitive skin then get products for sensitive skin! Make sure your skincare routine agrees with your skin and works! I try to keep it simple because my skin doesn't like too many products since I'm still young and my skin is changing. One big tip is if anything breaks you out, stop using that product! 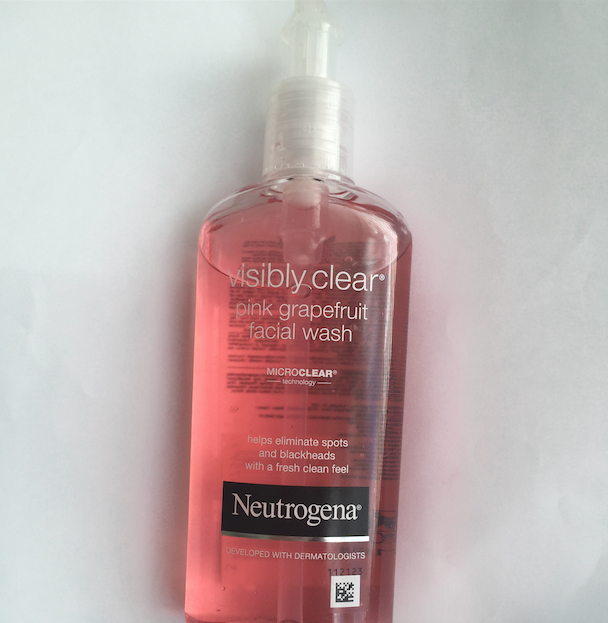 Out of my whole skincare routine, find that the pink grapefruit facial wash always helps me when my skin breaks out, it really does get rid of spots so I always bring this out!